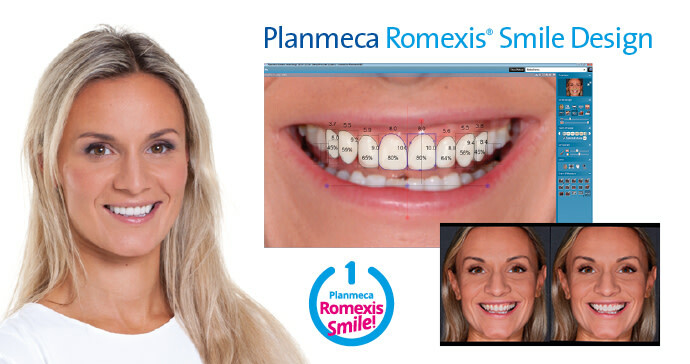 Going digital with Planmeca will provide you with unmatched freedom and flexibility throughout the orthodontic workflow. After collecting the needed imaging data, you can either order the needed appliances from an orthodontic solution provider or continue treatment planning in-house with the appropriate software. The choice is yours – our workflow is completely open! We at Planmeca like to be at the forefront of new technologies. However, we also understand that many still prefer to work with more traditional tools and methods. To make sure we serve all our users in the best possible way, we strive to provide several types of tools and services to add proven value to everyday dentistry. Our goal is always the same – to make clinical life more efficient and enjoyable. A visit to the orthodontist’s office usually begins with an oral examination. Visual inspections of the extraoral and intraoral situation are typically performed, and a quick visual representation of the possibilities of the treatment can be done using 2D photographs and smile design software. When a mutual decision on an orthodontic treatment is reached, further clinical records are typically taken. These can include X-ray images, such as lateral cephalometric and panoramic images, as well as physical impressions. 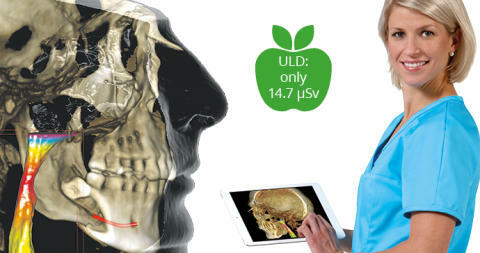 At a clinic with state-of-the-art technology, the records might even be completely three-dimensional – ultra-low dose CBCT images (to keep the dose lower than with traditional 2D images) and digital impressions directly scanned from the patients mouth. All these records can be obtained directly with Planmeca devices and visualised in our software. When proceeding to treatment planning, a cephalometric analysis is usually performed to obtain information about the status of the dentition and its relation to the skull. This is not difficult these days – the software can perform a cephalometric analysis automatically in a few seconds. Stone model analyses can also be done digitally using intraoral scans and our model analyser software. Next, it is time to decide the treatment path best suited for the patient and the clinical indication, as well as where to get the needed appliances from. There are many ways to make work easier when using digital impressions. We collaborate with several third-party providers for clear aligners and customised brackets to make sure that you find your favourite company from our growing list of supported partners. Our cloud service allows sending digital impressions securely to a local lab or external solution provider with just a few clicks. If you prefer to do everything yourself, you can always design and fabricate clear aligners in-house using our software and 3D printer. The in-house workflow is convenient, as you can optionally include roots from the CBCT image to the plan and follow their position while simulating tooth movement. We can help you even more when treating early mixed dentition. The LM-Activator appliance is a cost-efficient alternative for both you and your patient. During the treatment, it is always important to keep track of its status and to make sure everything progresses as intended. 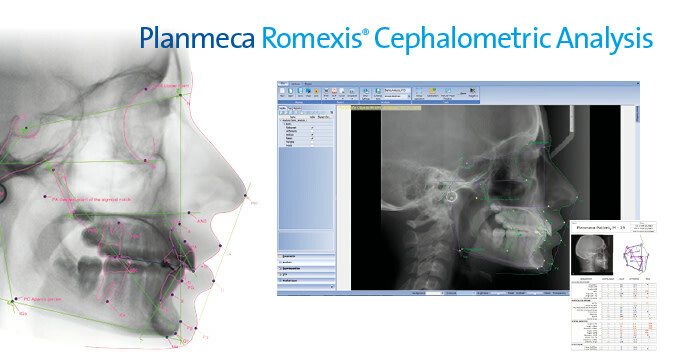 The Planmeca Romexis® Model Analyser software is a marvellous tool for comparing scans captured at different points in time. Orthodontics is tightly connected to orthognathic surgery, another area we are making rapid advances in. 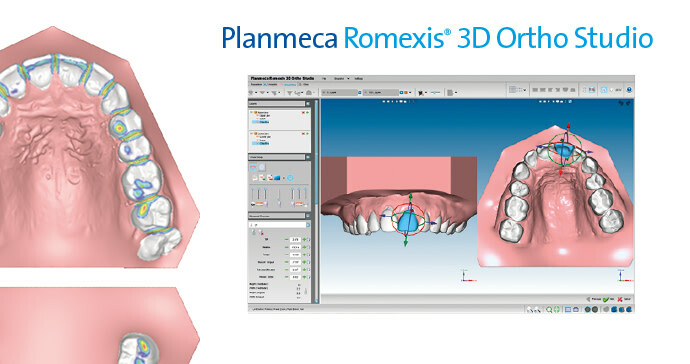 When patients need corrective jaw surgery, Planmeca’s powerful tools allow surgical planning to be done easily and efficiently within the same software. Planning is not just simulation with no connection to real life – instead, it allows producing surgical splints that can be printed on-site and are used to transfer the virtual operation to the actual operating room. The splints and, if needed, the entire surgical planning can also be ordered as a service from the Planmeca ProModel™ surgical planning team.